I loved this idea of writing the groom's name with Henna. 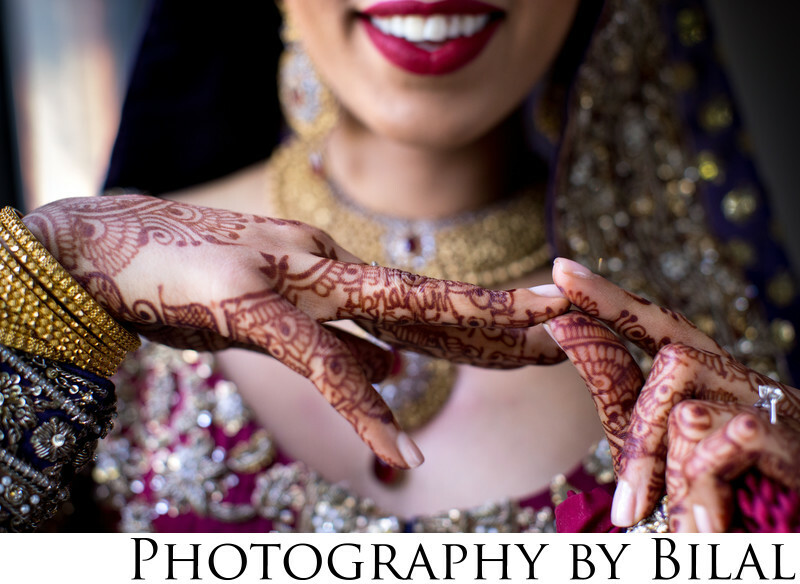 As I was photographing the bride's henna, she mentioned she has her groom's name written in henna. I immediately grabbed a photo. I intentionally stepped back a bit so that I could catch a bit of her smile in the background. This was shot at a Pakistani wedding at the Hyatt in Princeton.